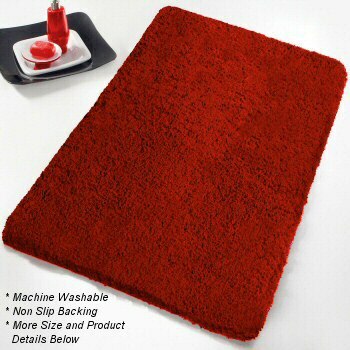 Exceptionally soft high pile microfiber bath rug. Quick drying super soft velvety rug design. Wine Red: Beautiful deep dark red tone. The Rumba elongated lid covers are microfiber, a solid color and coordinated with each rug swatch.